Buenos Aires enjoys a temperate climate with hot humid summers ranging from 25ÂºC - 35ÂºC with occasional highs of up to 40ÂºC. 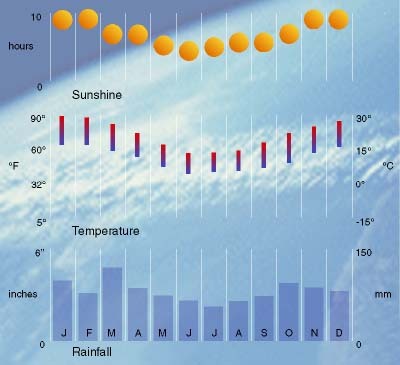 Winter temperatures, moderated by the South Atlantic Ocean, average between 5ÂºC and 15ÂºC, the temperature dropping at night but seldom below freezing, with mild weather during autumn and spring. The average annual rainfall is 900mm spread fairly evenly throughout the year.